Kontihene might have bitten more than he can chew. He made disturbing statements about Kwaw Kese but it seems the man can’t let those statements lay to rest without replying. After Kwaw said a man was created to be fearful and that is why he looks as such, he has again disclosed to myjoyonline.com that Kontihene just wants to regain his dead fame, hence hitting hard at Kwaw with such unnecessary comments. He added that he faked his marriage just to pull publicity stunts to get people’s attention. Rapper Kwaw Kese says recent disparaging comments made against him by fellow musician Kontihene are just a ruse to resuscitate Kontihene’s dead career. Kontihene is reported to have stated in a recent interview on Okay FM that there is no way he can be compared to Kwaw Kese. Kwaw Kese, also known as ‘Abodam’ speaking in an interview with myjoyonline.com laughed off the comments stating that Kontihene is just being childish. “I heard Kontihene is trying to use my name to resurrect his dead career. I think that is a mistake and it’s childish. He can’t do that he’s been dead for ten years and you can’t use me as a way to resurrect your career,” he said. “This is one person who has even faked the marriage to shoot his name back to fame. He is trying whatever possible to come back into the game. The marriage is basically a publicity stunt,” he added that he doubts if Kontihene is truly married. 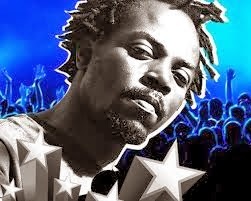 Kwaw Kese believes a song – ‘Nonsense’ – he released about ten years ago with a slight reference to Kontihene’s song – ‘Megizigi’ – is still eating him up. He said it does not make sense for Kontihene to make derogatory comments about him because of song released 10 years ago.